Hardiness: Easy, but make sure there is algae for it to eat. Aggressiveness: Semi-aggressive. 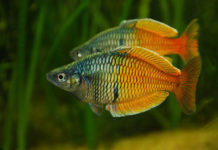 Suitable for community aquarium with other peaceful fish. It is territorial towards its own kind and should either be kept singly or in groups of 5 or more. Diet: Omninvore. In the wild, the Siamese Algae Eaters feeds on algae, periphyton and phytoplankton. 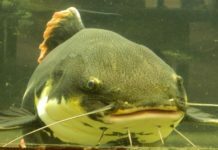 Will take any commercially available fish food, live food, meaty foods, algae wafers and catfish pellets. Will eat green hair algae. 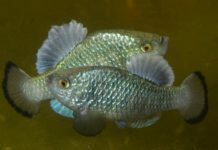 May ignore algae in favor to commercial food if given a diet too rich in protein. 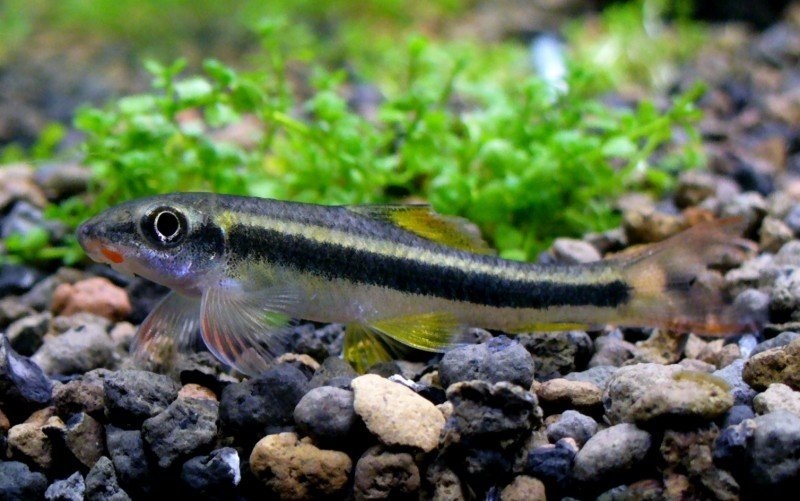 Crossocheilus siamensis, also known as Siamese Algae Eater or simply SAE is a freshwater fish in the Cibrinidae family (carp family). 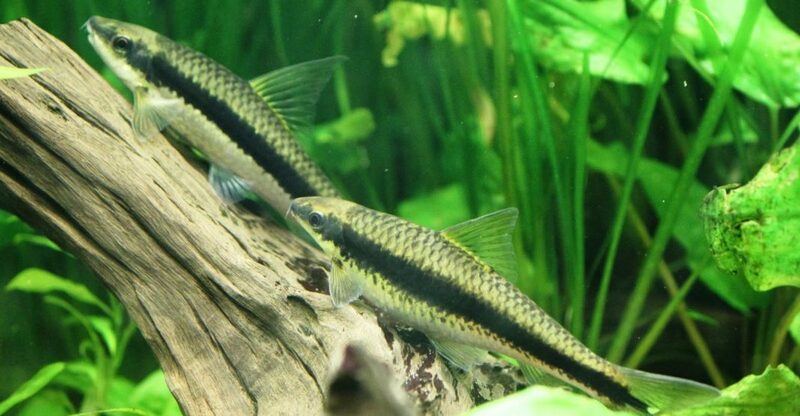 Native to the Malayan peninsula, the Siamese Algae Eater is a bottom-dwelling fish that lives in streams and rivers as well as flooded forest where it feeds on algae, periphyton and phytoplankton. 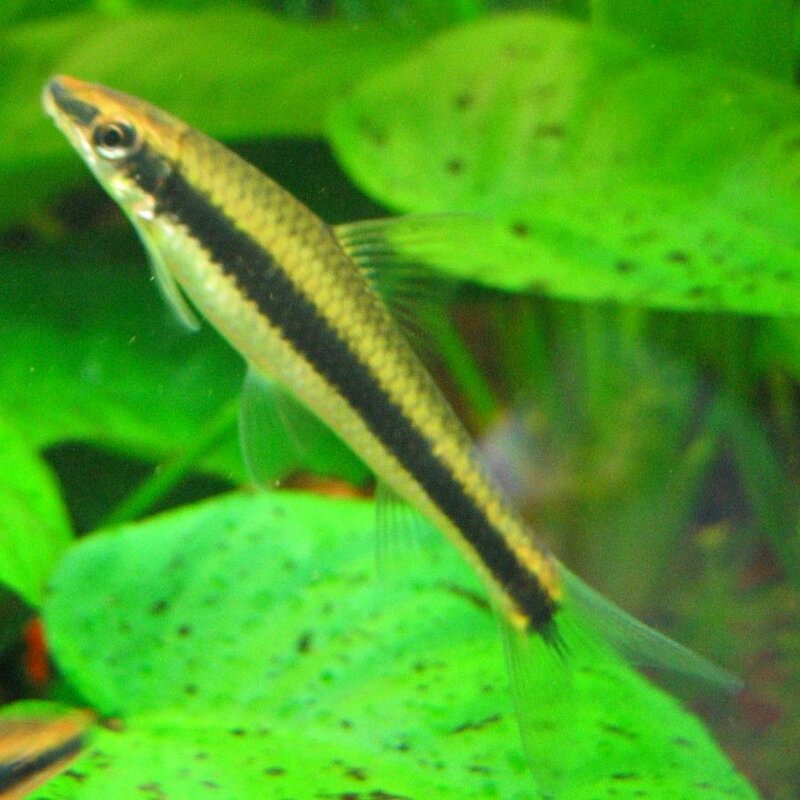 The Siamese Algae Eater is a long slender fish with a brownish-beige body. It has a bold black strip (one on each side) running the full length of its body. The stripe also extends to the very edge of its caudal fin, which is almost clear otherwise. 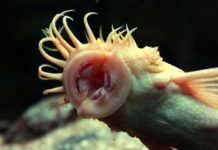 It has clear see through fins and Rostral‎ barbels (‘moustache’). Females are slightly broader in the mid-section when compared to slimmer males. Siamese Algae Eaters do not have the swim bladder so the fish must be in constant motion of it sinks. 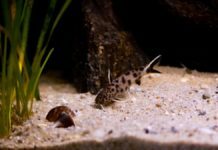 It is important to learn how to tell a true Siamese Algae Eater from the many imitations that are often sold: False SAE (Epalzeorhynchus sp.) and the Flying Fox (Epalzeorhynchus kalopterus). The brown coloring on top of the False SAE is a bit darker than on the SAE. The black stripe has a bordering gold stripe on top and, most importantly, the black stripe does NOT extend into the tail fin. It stops at the base of the tail. The Flying Fox has the same gold band bordering the top of the black band as with the false SAE. The fins have a yellow to orange tint to them. A true Siamese Algae Eater should have clear fins. The Siamese became popular for its appetite for algae. It is true that is a great moss eater but there is a limit to its appetite. You’ll still need to find the cause of your algae problem and fix it if you want to win the battle. The fish is just a good helper. 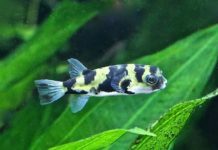 Unfortunately, the Siamese Algae Eater is not a cure for all algae: Green spot and blue green algae are not on the menu. Finally, the Siamese Eater will eat less and less algae as it gets older. 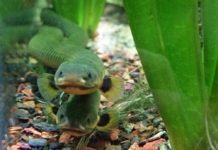 The ideal aquarium for the Siamese Algae Eater should be well oxygenated with a pH between 6.5 and 8.0, a dH of 5-20 and a water temperature of 24°C – 26°C. Since they can’t stay in mid water, they love driftwood/rocks and some plants that can support their weight to rest on. 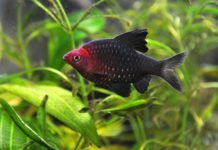 Amazon Sword plants are perfect for this fish. This fish can be shy so make sure to provide some hiding places. 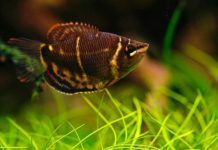 Now you know how to care for your algae eater.